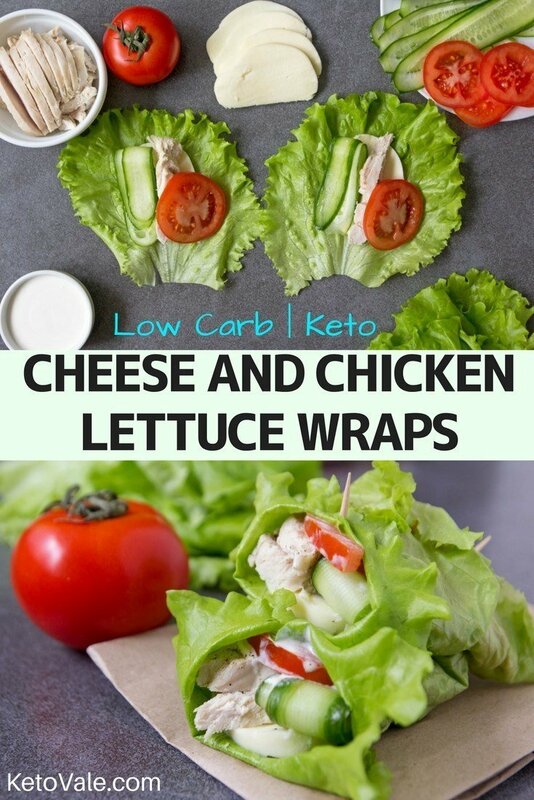 Quick and easy lettuce wraps make a perfect keto lunch on the go. 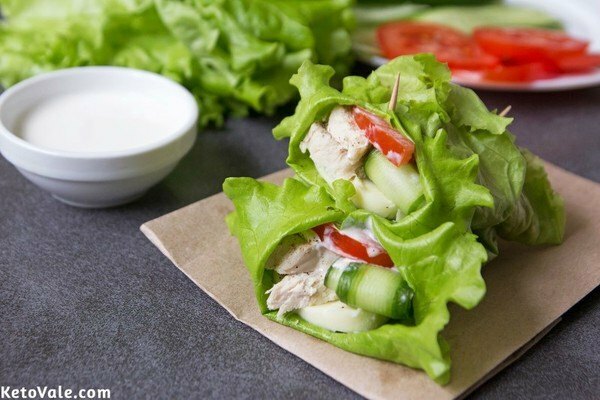 Just wrap some meat, cheese, and veggies in a large lettuce leaf and you’ll have a healthy and delicious lunch. This recipe is so simple to prepare. All you need is cooked chicken, can be either boiled or roasted chicken, especially if you have leftovers from last night’s dinner. This recipe makes 2 wraps. If you want to make 4 wraps, simply multiply the ingredients amount by 2 and repeat the same steps. Use a bowl to mix the sour cream and crushed garlic in. Place the chopped chicken on top of the lettuce leaves. 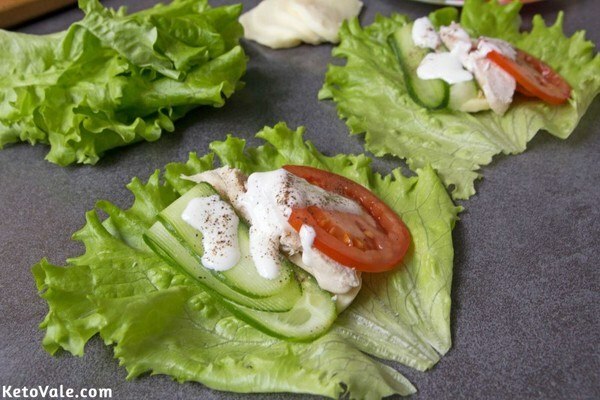 Arrange the slices of mozzarella, cucumber, and tomato neatly beside the chicken. Spoon the garlic sour cream and pour onto the leaves. Season with a dash of salt and pepper. 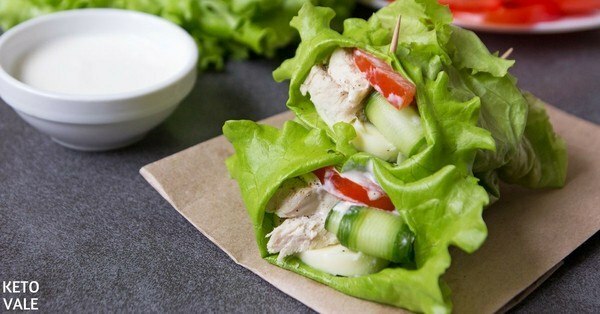 Fold the lettuce leaves over the chicken filling and roll into wraps. Push a toothpick through the leaves to secure. Serve and enjoy.